I’m really pleased with the appearance of them, the quality of the display, how sensitive the touchscreen is, and how reliably they work. 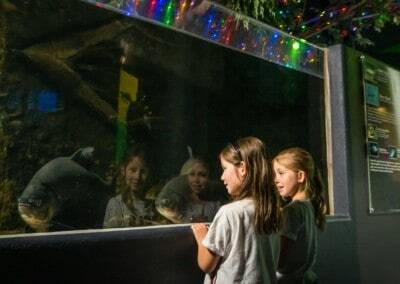 They more than meet our criteria. 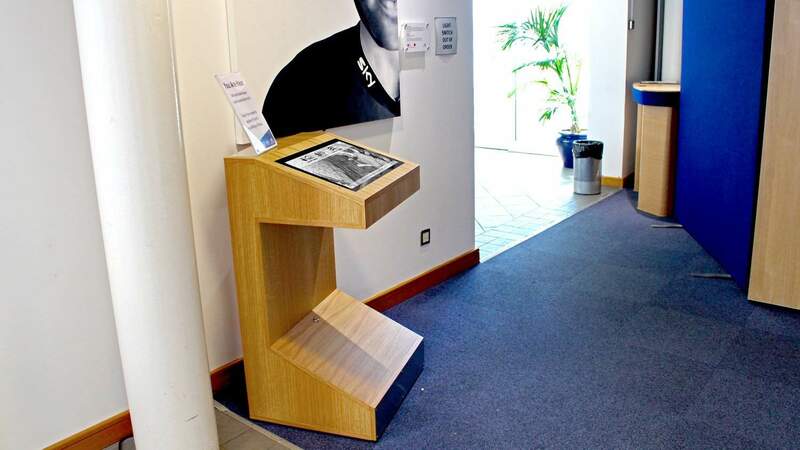 Blackbox-av gave a lot of their time to the design of the touring kiosks in particular, a bespoke item for the project. They offered us a lot of options for design and functionality, discussed the different options with us, and worked hard to make sure we got what we wanted. 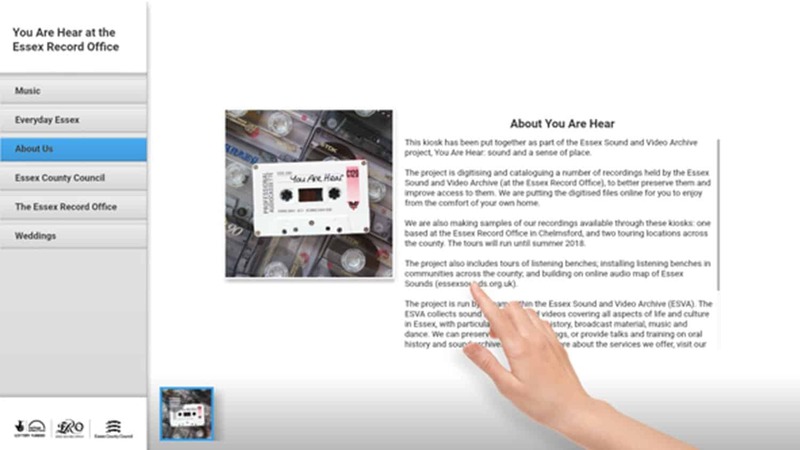 We recently worked with Essex County Council for their You Are Hear project, which documents the history and stories of life around Essex via digitising sound and video recordings to catalogue online. 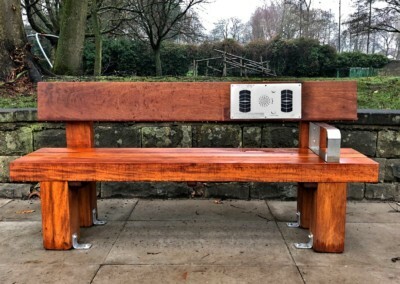 Our Audio Benches were used as part of the project, with eight being permanently installed and two touring the county. 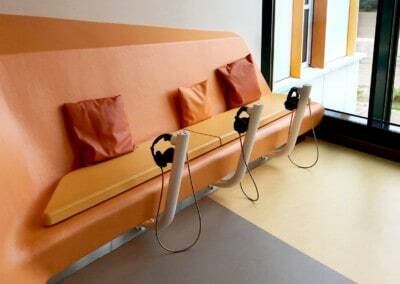 As well as the benches, we also supplied two of our free-standing kiosks for the project. 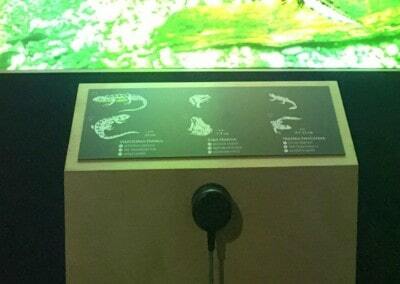 The project wanted to use digitisation to help make the recording accessible and presevable for the long term. 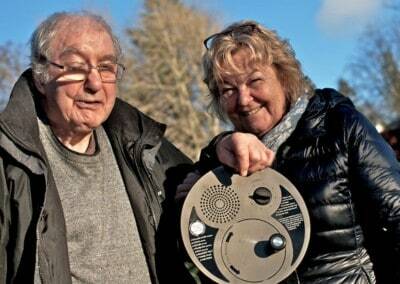 As the recordings would be touring around the county, it helps to encourage residents to engage with them and develop their own sense of place. We supplied Essex County Council with a traditional and modern kiosk to compliment the locations they would be in. 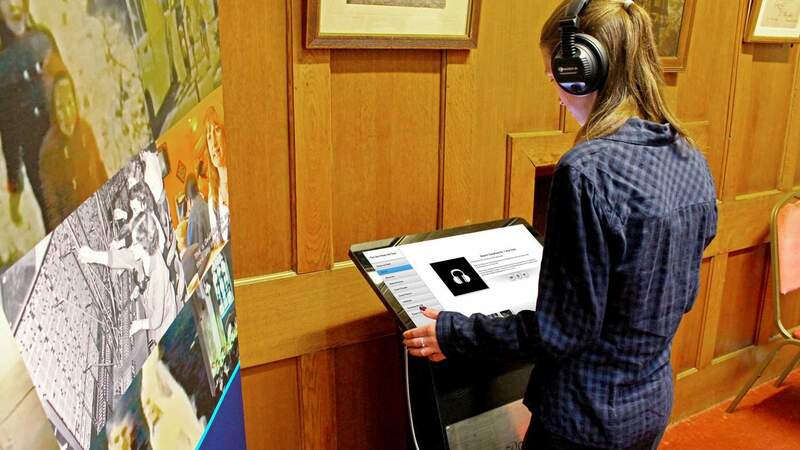 Our traditional kiosk has a permanent home at the Essex Record Office, while our modern kiosk is touring around the county. 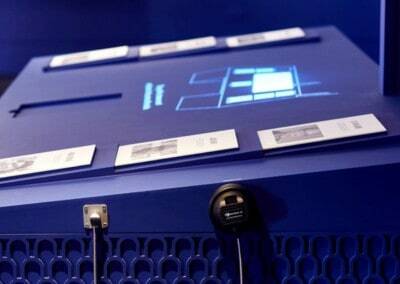 Each of the kiosks were supplied with our Lightbox 2 browsing software for ease of access and upkeep. 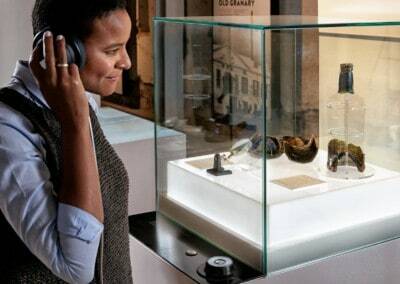 Our modern kiosk also came with a pair of our armour cable headphones, so visitors could listen to the content on the kiosk. We also implemented the Analytics feature for Lightbox 2, so the council could track the usage to see how any people were using it and what was most popular, which was useful for project evaluation. The material that was put onto the kiosks included home movies from the town’s residents, local radio/hospital tv programmes, historical documents, music by artists from Essex and many memories collected from the residents. 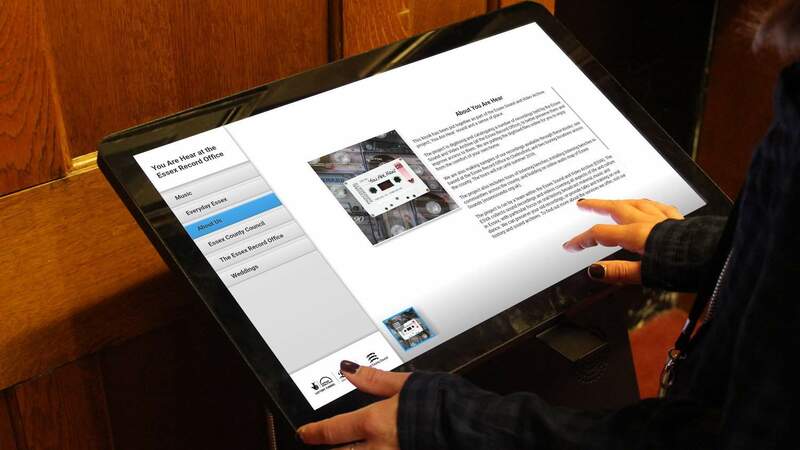 The feedback on the project so far has been positive and the kiosks have provided Essex County Council a way to preserve the heritage of their towns. 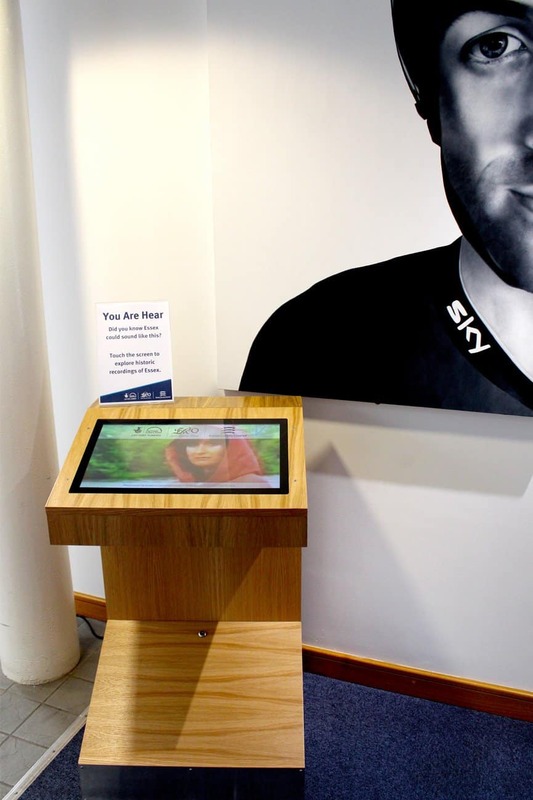 The kiosks are currently residing in Zinc Arts, Ongar and Fingringhoe Wick Visitor Centre until the end of this month. 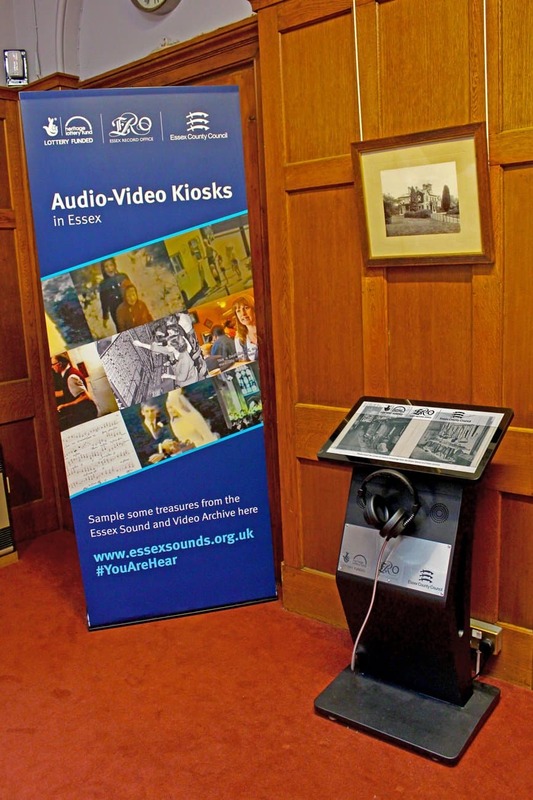 For a full schedule of the kiosk and audio bench tours, you can visit the Essex Record Office Blog for more details.